Linell, M.L. 1899. On the coleopterous insects of the Galápagos Islands. Proceedings of the United States National Museum, 21(1143): 249-268. 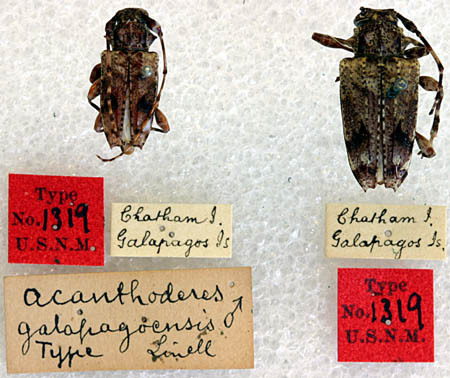 There are two specimens with the same USNM type No. 1319 (male and female). 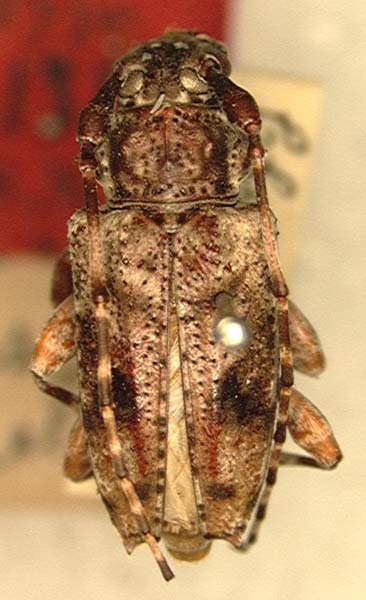 Linell (1898) did not single out one as the holotype. This specimen figured here is designated as the lectotype in order to stabilize the taxonomy and facilitate further identifications of this species.